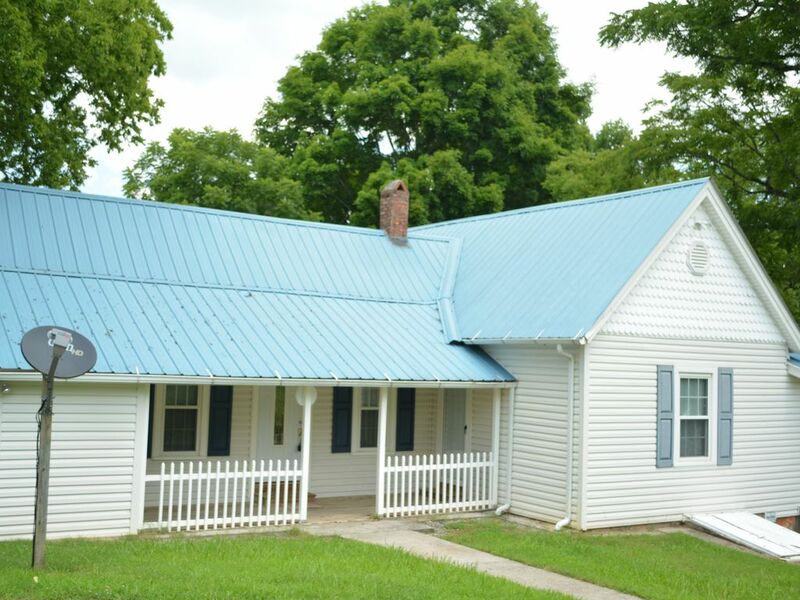 This is a quaint cottage over-looking historic downtown Tellico Plains, the "Gateway" to the Cherokee National Forest. This cottage is near world-class trout fishing on the Tellico and Hiwassee rivers; kayaking, rafting, and tubing on the Tellico, Hiwassee, and Ocoee rivers; recreational boating and fishing on the Tellico Lake; scenic drives along the Cherohala Skyway, the "Dragon Tail", and many other mountain roads in the area; gold panning in Coker Creek; the new Cherokee Casino in Murphy, NC; the birthplace of Sequoya; Ft. Loudon historic site; beautiful Bald River Falls; and many other attractions and activities afforded by the Cherokee and Nantahala National Forests. See the spring and fall spectacular shows of nature these southern Appalachian Mountains offer. The cottage is a short walk from the famous Tellico Grains Bakery. The cottage has satellite tv, washer & dryer, full kitchen, central air, and gas grill. There is a great view from the porch. The cottage has a master bedroom and two smaller bedrooms. It has comfortable-sized kitchen, dining area,, and living room. The bathroom has a tub & shower. This property was left to my brother and I by our mom, Hildegard. She loved her cottage, and loved Tellico Plains. She said it reminded her of Austria, where she was from. Stay a couple of days and was very pleased with the location and convenience. You can walk to downtown and have dinner. Very nice cottage with everything you need for a pleasant stay. Easy drive to parks, rivers and other attractions. Will stay again next time we get a chance. Great for the price. No pets or animals are allowed in the cottage. No smoking is allowed inside the cottage. Any activity that will disturb neighbors or cause a public nuisance is prohibited. Occupancy of the cottage is limited to the maximum of 5 persons, unless other arrangements are made with the owner.